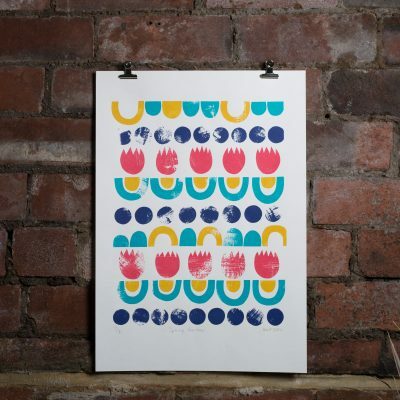 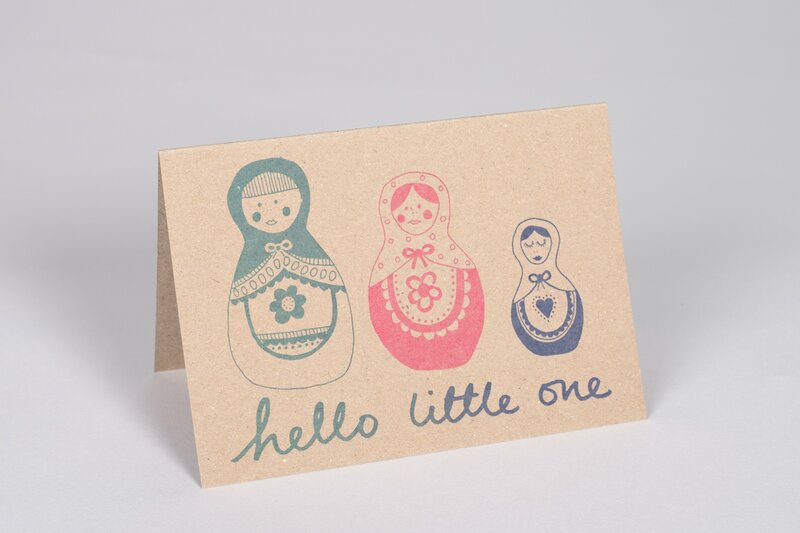 Hand screen printed baby card for boy or girl with Russian doll design. 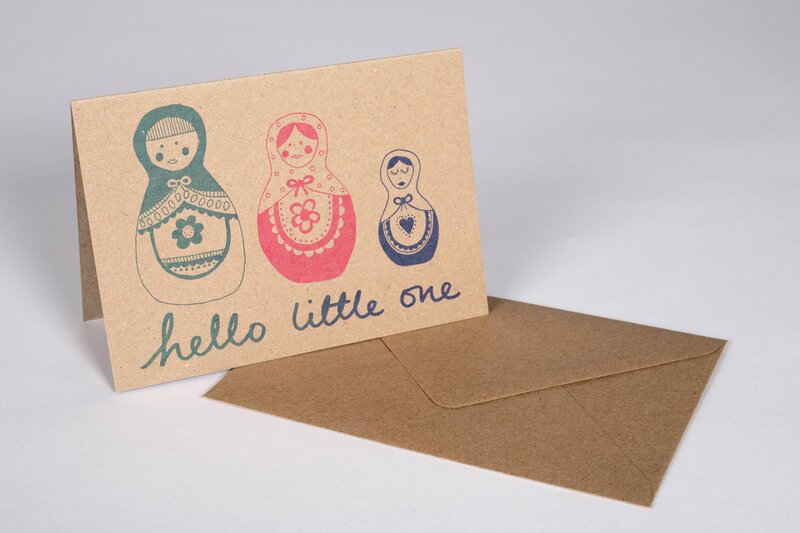 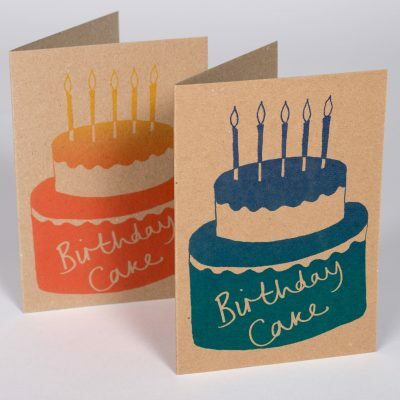 Printed on recycled brown card and sold with matching colour envelope. 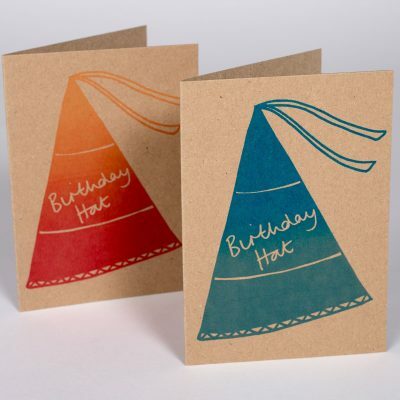 Standard size A5 card with C6 envelope.